It will probably come as a surprise with all the baby gear on the registry checklists, but the reality is there are only a few pieces of baby gear you absolutely need. If money or space is tight, it’s a relief to know you don’t actually need all that much. So, what do you really need for baby? 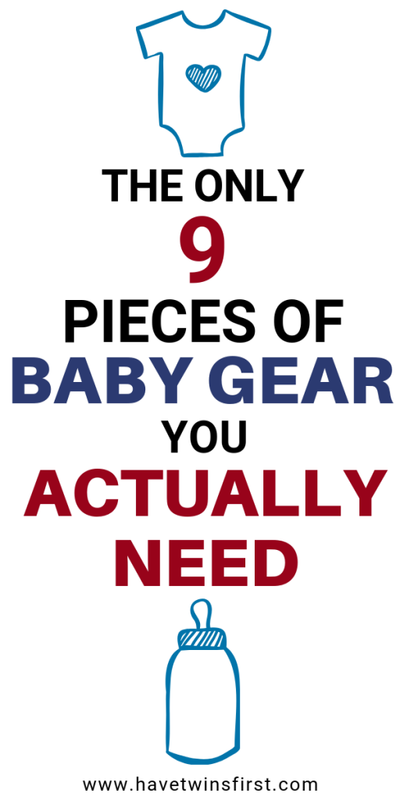 In this post, I’m sharing the bare minimum baby gear you would need for the first six months. The amounts listed for diapers, wipes, and formula (if not breastfeeding) will get you started. You will need to buy more of these as needed. This is not to say the other baby gear out there is not useful. There’s a bunch of gear that will make your life a whole lot easier. More on that at the end. 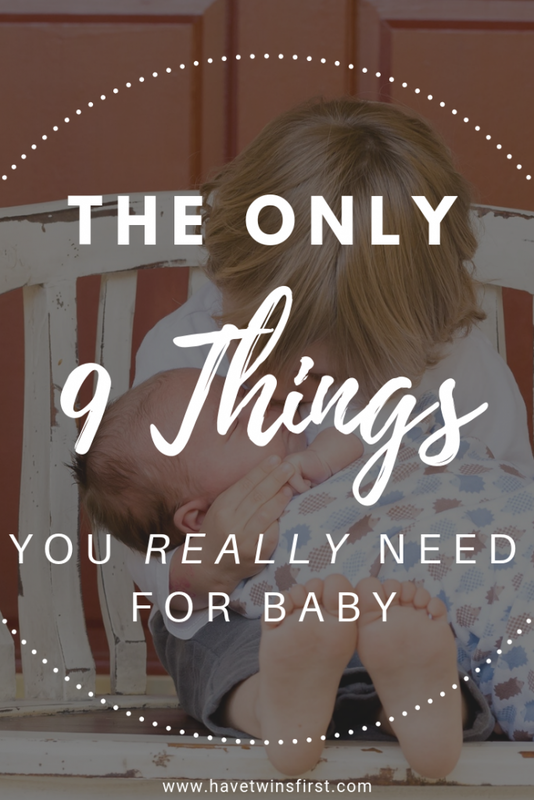 You can always start with this list and buy more as you need it after the baby comes. 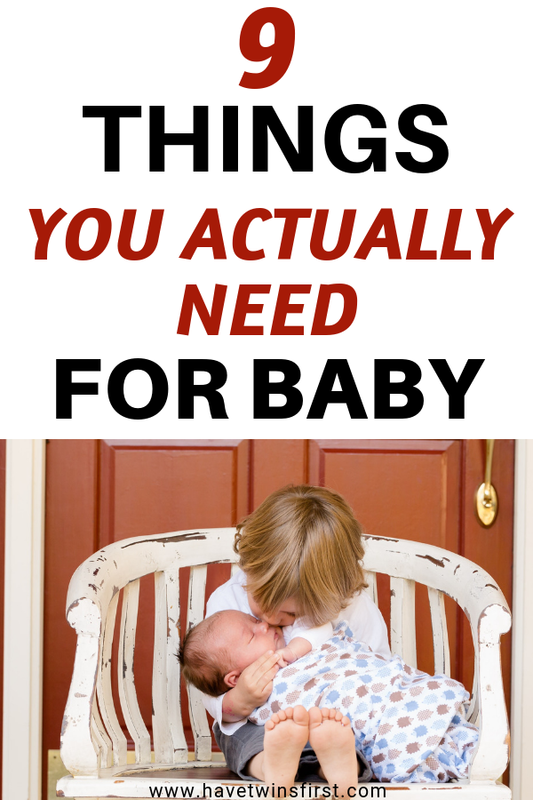 So, here it is, the list of what you really need for baby. As an added bonus, you only need to spend money on 6 or 7 out of the 9 items listed! You might have noticed some of the baby gear listed are big ticket items, but I guess no one ever said having kids would be cheap. Additionally, you could consider buying a stroller or crib used or hit up your friends or Facebook groups for used baby clothes. 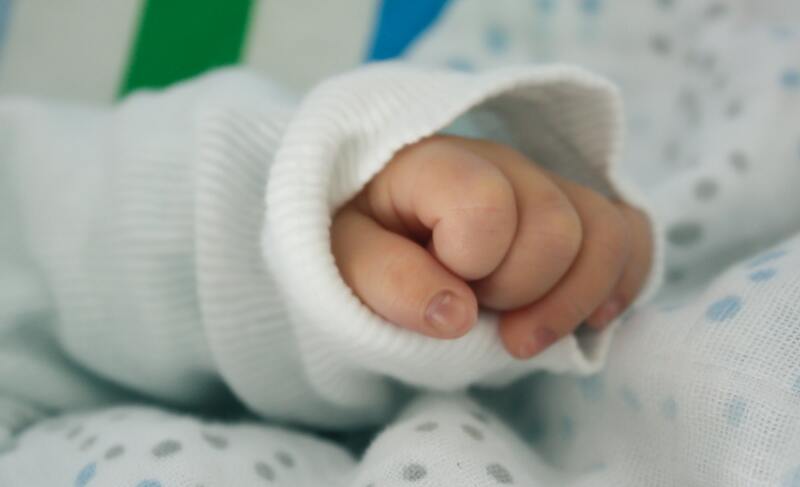 Swaddle Blankets – take all the swaddling blankets you can get from the hospital cart. These also double as burp cloths and general purpose blankets. Pacifiers – so, you don’t actually need these, but they can be helpful and they are free if you take the ones from the hospital cart. Breast Pump – get a free breast pump through your health insurance, typically the pump will come with a couple bottles that you can pump breast milk into as well. Sign up for rewards at the Similac and Enfamil website before your baby is born. You should receive free formula samples in the mail to get you started. What Do You Really Need For Baby…That’s It? The short answer is yes, that’s why this post was written. However, as I look over the list above, there are plenty of items missing that can really help make your life a lot easier. I know it can be overwhelming trying to answer the question of, what do you really need for baby. If you think you want more than what’s on this list, then check out our longer list of recommended items. You can always use this post as your base and pick and choose from the rest of the gear. Take the baby registry quiz and receive a FREE customized baby registry checklist tailored to your needs. Plus, you can check out these posts.